Prior to 1974, almost all blood supplies for medical use were collected from paid donors. Such practice was considered uncivilized and was also negative to the national image. This practice was also unsafe and could transmit diseases. Subsequently, a number of public-spirited organizations, societies, schools, business enterprises and factories jointly started a movement to promote voluntary blood donation to appeal to the goodwill of the society and to help patients in need of blood. The Blood Donation Association of the Republic of China (BDA) was thus, under the initiation of Mr. Pei-Huo Tsai, then Chairman of The Red Cross Society of The Republic of China Taiwan Provincial Chapter, founded on April 19, 1974. Taiwan then entered the age of voluntary blood donation. For more efficient operation, the BDA set up one at a time in August 1974 blood centers in Taipei, Taichung, Kaohsiung and Tainan for more active collection of blood. In coordination with the Medical Care Act, blood services are now established as health and medical care institutions, the competent authority of which being the Department of Health. Thus, the BDA, at its second meeting of the sixth session of representatives of members resolved that a Blood Donation Services Foundation of the Republic of China be established. Upon approval of the Department of Health, the Executive Yuan, the Foundation was set up on January 1, 1990. The four blood centers in Taipei, Taichung, Kaohsiung and Tainan were then placed under the Foundation. 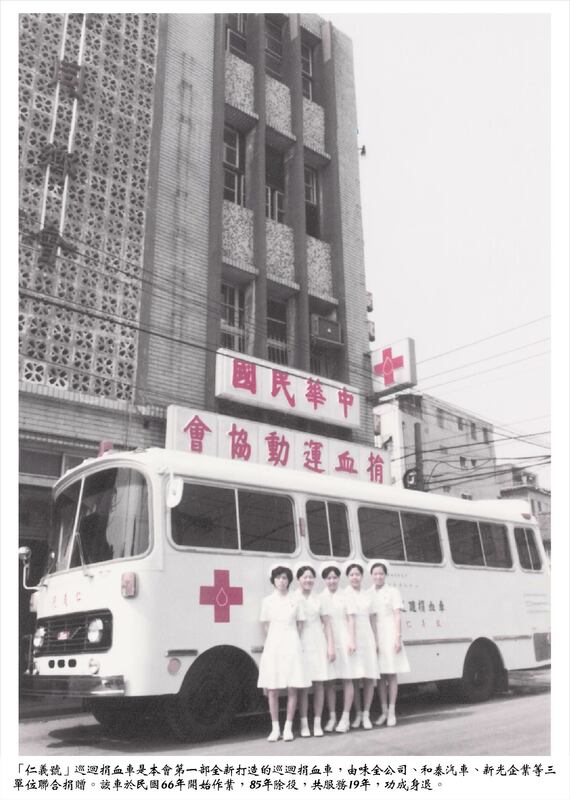 In 1991, two more blood centers in Hualien and Hsinchu were set up. For Taiwan's blood service institutions to upgrade their standards in blood technologies and research, close international exchange and collaboration are essential. For the convenience of operation, upon the approval of the Department of Health, the Executive Yuan, the Foundation was renamed the Chinese Blood Services Foundation (CBSF) on July a, 1992. The Blood Donation Association continues to function alongside the Foundation. In March 1997, at its first meeting of the eighth session of representatives of members, the Association was renamed the Chinese Blood Donation Association. The Association currently has a membership of some 1,000 institutions and individuals. It supports and supplements the activities of the Foundation by coordinating its members through liaison centers set up in the blood centers. Its monthly publication, “the Warm Blood”, is widely circulated and serves as an important tool for the promotion of blood donation. For more effective international exchange and to face realistic situation, at the 7th meeting of the 4th –term Board of Directors, a resolution was reached to change the name of the “Chinese Blood Services Foundation (CBSF) “to the “Taiwan Blood Services Foundation (TBSF) “, Upon approval of the Department of Health, the Executive Yuan, the Foundation was properly registered as a corporate body on October 18, 2004. Copyright © 2010 Taiwan Blood Services Fundation. All rights reserved.